Pantry essentials | Life's Conundrum - Eat to Live or Live to Eat? Our predominantly Indian pantry is normally well stocked with both whole and ground spices. On one of our many shopping trips to Costco we found large bottles of herbs and rubs on offer at a very reasonable price. 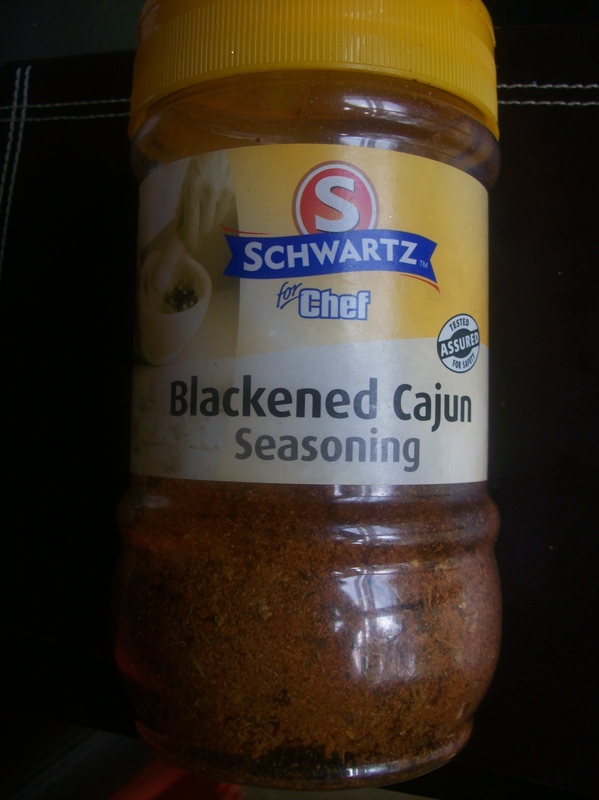 One of things we picked up to add to our pantry is now an absolute must have if you love all things spicy – Schwartz Blackened Cajun Seasoning – WARNING for the faint at heart this mix carries a punch. Mix the prawns with oil and spice and refrigerate for a couple of hours (the longer the better to allow marinade to penetrate the prawns). Heat pan and cook prawn on both sides till done (should not take more than 10 minutes). Garnish with chopped salad onions and basil (optional). Divi up the salad greens into two bowls and spread chopped mangoes around the bowl. Place equal portions of cooked prawns in the middle and serve hot. 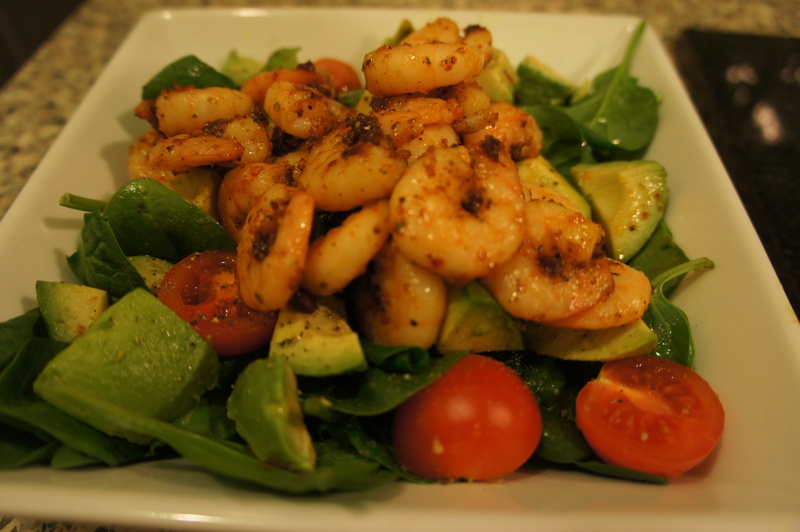 Alternatively try the salad with cherry tomatoes and ripe avocado instead o f the mangoes. 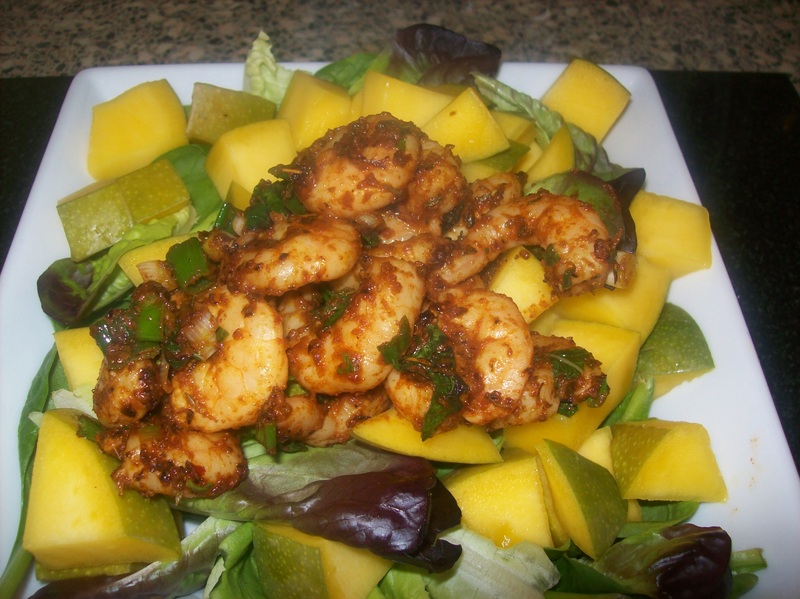 Posted on April 17, 2013 by Anna and Shiv	• This entry was posted in Recipes, Recommendations and tagged Brazil, Costco, Leaf vegetable, Mango, Olive oil, Prawn, Salad, Seasoning. Bookmark the permalink.